Here you’ll find a terrific selection of high quality Swimming Pool Pumps to suit a range of budgets and requirements for your swimming pool needs. If you’re simply looking for a replacement for your current Swimming Pool Pump, then replacing it with the same model is the simplest way forward. An easy, straightforward swap over is then achievable due to the layout of pipe connections and bolt fixing points usually being exactly the same as your current model. It’s also worth noting that swimming pool pumps should be replaced with the same horse power rating as the previous model. However, if you’re in the market for a new and different model, then please be aware that this will mean more work in connecting it up to your existing set up, and will likely require the purchasing of additional pipe work. How other influences may impact which specification and power of pump you may need! 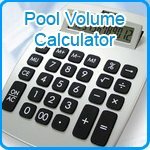 We recommend that customers consider using a more powerful Swimming Pool Pump if they have something like Solar Matting or Solar Pods added to their pool set up (and located on roofs or outbuildings), and consider the requirements of any automatic swimming pool cleaners that they may currently be using, as particular models won’t work with low power pumps. Finally, if you have or are thinking about having a salt chlorinated swimming pool, then please double check the specifications of each pump to double check that it’s compatible with salt water pools. If you should be in any doubt or would like more advice regarding your purchase of a Swimming Pool Pump from our store then please give us a ring on 0151 334 0222.